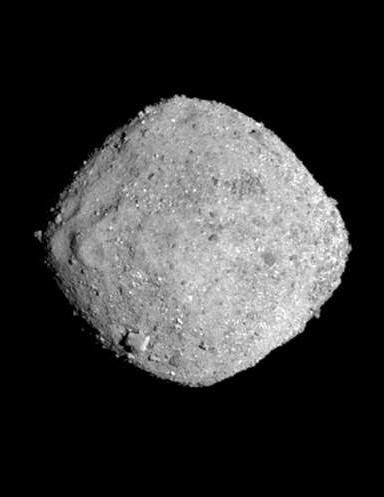 OSIRIS-REx was launched in 2016, travelling more than 2 billion kilometres to reach the asteroid known as 101955 Bennu. TO make the incredibly long journey, the ship made a flyby past Earth to use its gravity to slingshot it into the asteroid's orbit. It has been sending back increasingly detailed images of its approach, and it now hovering about 7 km above the surface. ORISIS-Rex will now start taking high-resolution images and map the asteroid's surface. It will spend about 18 months looking for an ideal spot to collect a sample of space dust to bring back to Earth in 2023. More information on the OSIRIS-REx mission and equipment is accessible here.